As 2013 continues to move along, so do a number of changes in the mortgage world. 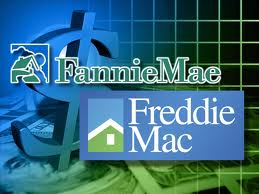 On Monday, acting director of the Federal Housing Finance Agency, Edward DeMarco, who oversees Fannie Mae and Freddie Mac, announced a plan to combine the two mortgage giants’ divisions that issue billions of dollars in securities backed by home loans. The plan is part of efforts to overhaul Fannie and Freddie with the main goal of shrinking the government’s role in the mortgage finance system. DeMarco said this new entity, which will be separate from Fannie Mae and Freddie Mac, would have its own CEO and board chairman who would be independent of Fannie Mae and Freddie Mac. Initially, the entity would be owned and funded by the two companies; however, DeMarco said the goal, “is to create something of value that could either be sold or used by policymakers” as a foundation for a restructured mortgage market. Freddie Mac, which is based in McLean, Virgina, and Fannie Mae, based in Washington together own or guarentee about one half of all U.S. mortgages, and, along with other federal agencies, are responsible today for backing nearly nine of ten new mortgages. The two have operated independently for decades in competition with each other, but last year, the Federal Housing Finance Agency began working with them to create a single platform in which home loans could be packaged into securities. The ‘new’ company could eventually be possibly privatized or folded into the government; however, that would be determined by Congress and the White House when they begin the process of any overhaul of the $10 trillion mortgage market. And, before those decisions are made, the ‘new’ company would build a securitization infrastructure to serve whatever replaces Fannie Mae and Freddie Mac. DeMarco added that the new venture was not expected to begin securitizing loans this year. Instead, the focus will be on creating the business and hiring staff. This initiative comes as a stabilizing housing market has boosted the fortunes of mortgage companies. In addition, home sales are up from a year ago, builders are more confident and have started to construct more homes, and home prices are showing consistent gains. If you have any questions on how this might affect you, please contact me and we can discuss your concerns.